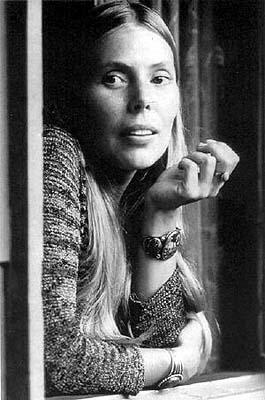 I have to say here and now that I am a great fan of Joni Mitchell. The posts that I have written here regarding her time in Crete and the video of the song Carey that I placed a week or two ago have generated so much response that I think that perhaps readers of this blog like her too. Her songs are so unique. They are musically and poetically so different from other songs or artists that perhaps you either love her or loathe her. She has made many albums, some more successful than others but to see her ‘live’ when she sang these songs was the most amazing thing. Hard to believe that in fact she is older than me. She was born Roberta Joan Anderson on 7th November 1943 and she grew up busking on the west coast of Canada. Her life details are available to all on Wikipedia. The song Carey is available on her album ‘Blue’, an excellent album. As far as I can make out she was in Crete, mainly in Matala, in 1968 to 1969. She must have written the song Carey about this time I guess. Today she is approaching her 65th birthday in November this year. She is still singing. 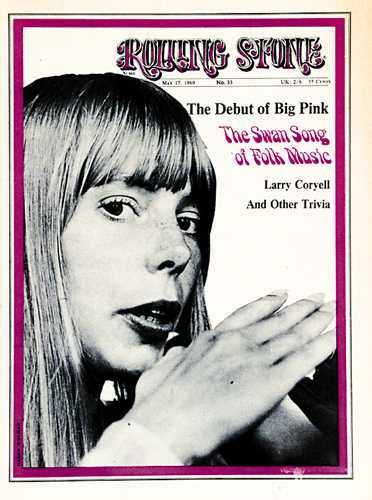 One of her earliest songs was called ‘Both Sides Now’. A lovely song of novelty and a freshness about about life. Here it is performed in 1970. It was a song from a young girl trying to understand life and also accepting her lack of understanding. Fast forward forty years and Joni Mitchell on her latest album has decided to sing this same song very differently. The words are the same but the song now seems to contain forty or more years experience. By choosing the same song that made her so popular long ago and singing it today almost in a new light shows her great ability and her dignity. So here it is: ‘Both Sides Now’ made in the year 2000 – 57 years after she was born. I hope you enjoyed her.